Let’s face it, we rely on computers for so much these days, but because we do and they (inevitably) go wrong or develop problems, it can seriously impact on our lives. For this reason here at White IT we offer an emergency IT Service to get you back up and running as quickly as possible. At White IT we know that when it comes to fixing computer problems, speed is of the essence. 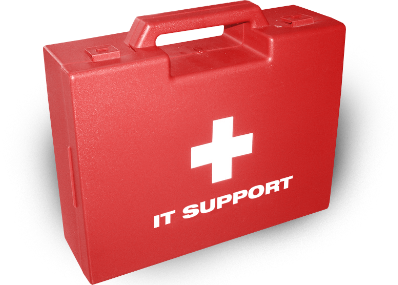 Therefore we adopt the ethos that an IT emergency on your part also constitutes an emergency on our part. We carry a wide range of common spares in stock so if equipment does need replacing such as a cracked screen, we don’t have to keep you waiting for parts. In addition all our technicians are trained in all aspects of computer and laptop repairs, so you’re guaranteed a speedy service. Don’t delay, if you have an IT emergency and you need help, contact White IT today. In many cases our small but dedicated team can access your computer remotely from our office without having to physically be on site. This can save you both time and money. We can solve many problems this way including virus and malware issues, so you can be up and running fast. Conversely, in other cases where the problem might appear more complex, we can either visit you at your place of work or home or alternatively, you can come to us. Either way, we’ll keep you informed of what’s being done and more importantly how long it’s going to take to fix. No fuss, just simple, effective solutions.